Added by Debra Tash on June 15, 2015. 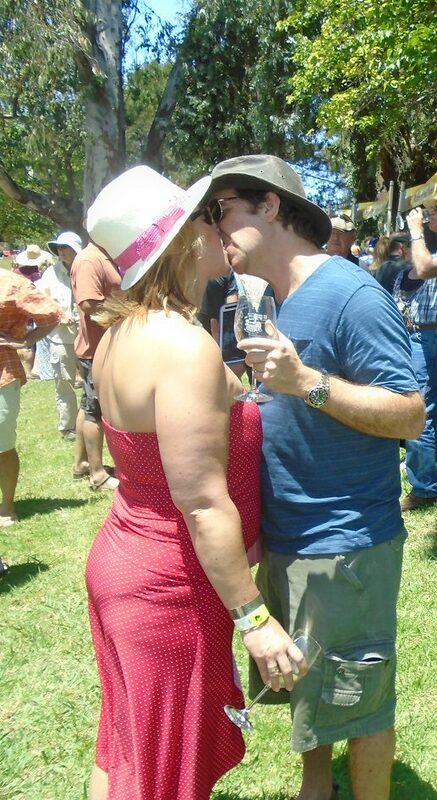 Music was playing, wines were pouring, beer was flowing and the 3,000 attendees of the 29th Annual Ojai Wine Festival were all hanging out and enjoying it all. Barefoot’s Ambassador Randy Arnold welcomed the VIPs at the Grand Entrance with a glass of Bubby Brut, a strawberry and a wide smile. “We’re making the world a better place through wine,” he said as he greeted each guest. 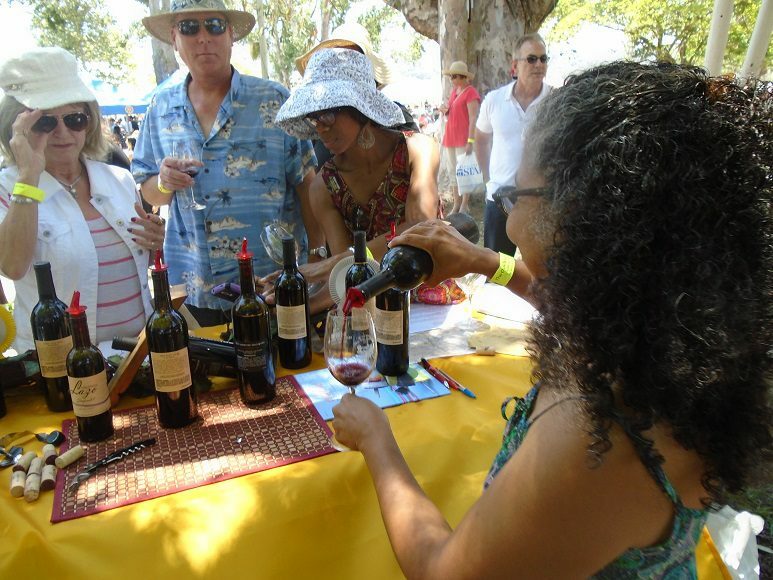 With beautiful Lake Casitas in the background and a picture-perfect Ojai Valley day, more than 50 wineries from Paso Robles to San Diego and everywhere in between poured an unprecedented selection of varietal and blends. 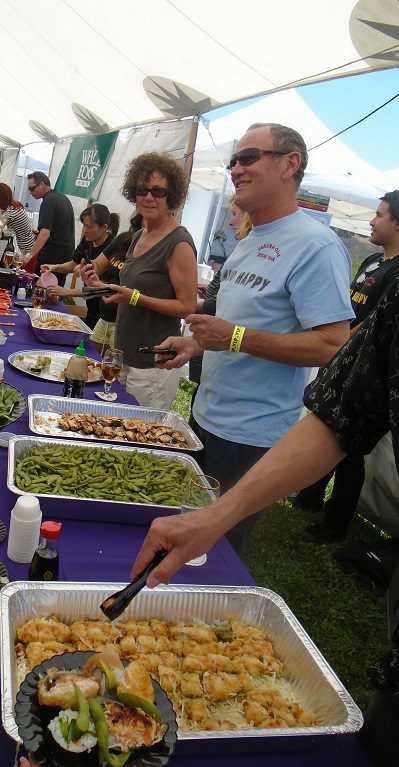 There was also plenty of food and brew to satisfy everyone’s tastes. 26 Premium breweries were located in four tasting areas, including the VIP area which hosted a collection of Belgian Draft beers; Stella Artois, Leffe Blonde, Hoegaarden and Stell ASrtois Cidre were poured in a special Stella Artois glass that came with a velvet bag for safe transport. 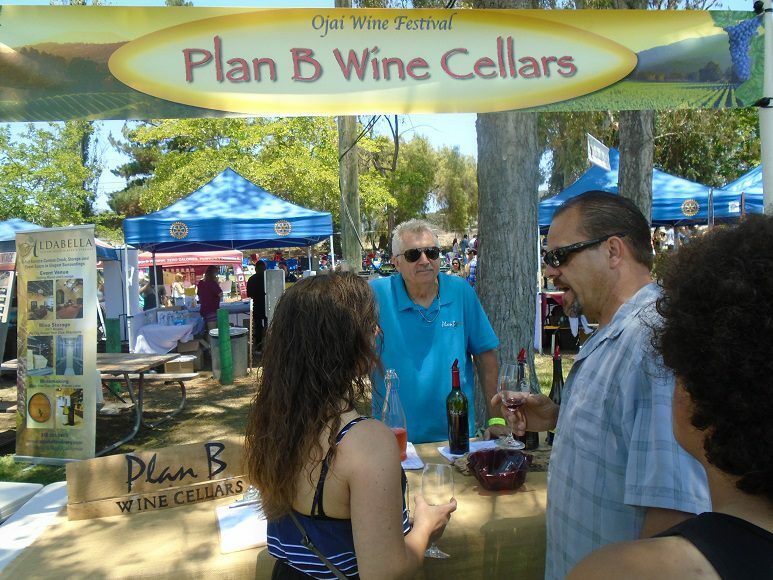 The Ventura County Wine Association was well represented by Aldabella, Magnavino Cellars, Panaro Brothers, Plan B, Sunland Vintage Cellars, Strey Cellars and others in a tasting area of their own. 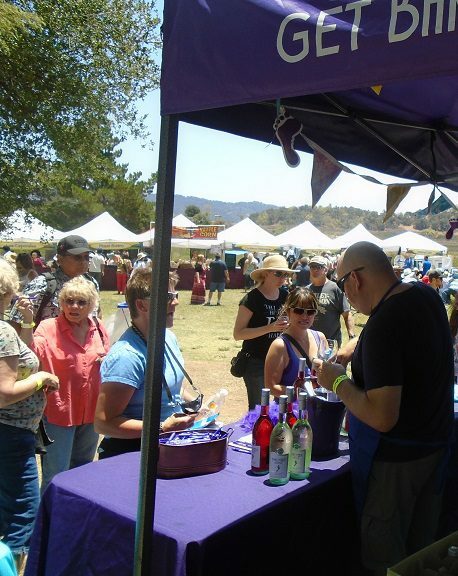 The Festival also presented a silent auction featuring fine wines, private tasting parties, VIP winery tours and other wine related items with the proceeds supporting the Rotary Club of Ojai West Foundation. 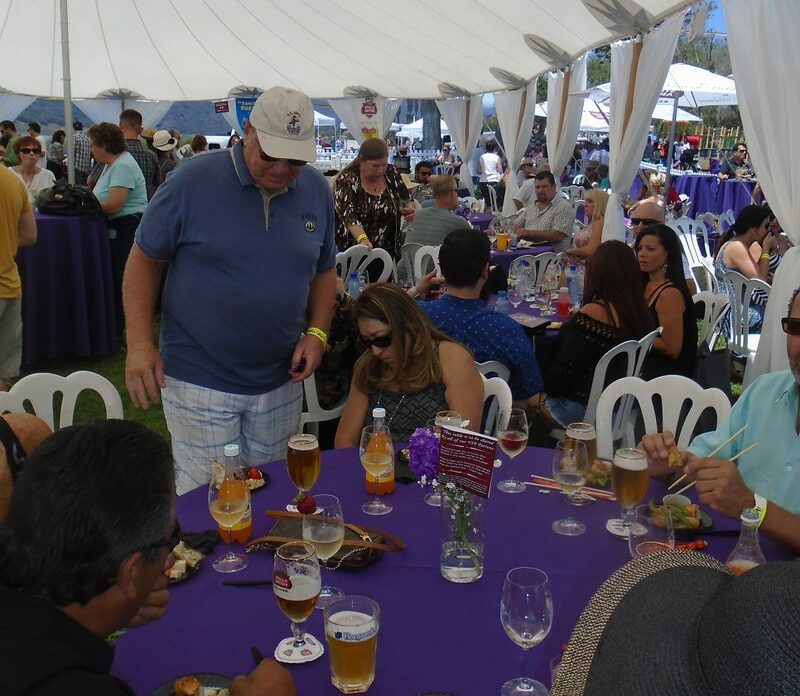 In addition to food, beer and wine, there were a number of arts and crafts vendors, a lakeside dance floor, and free boat rides on the Rotary boat. 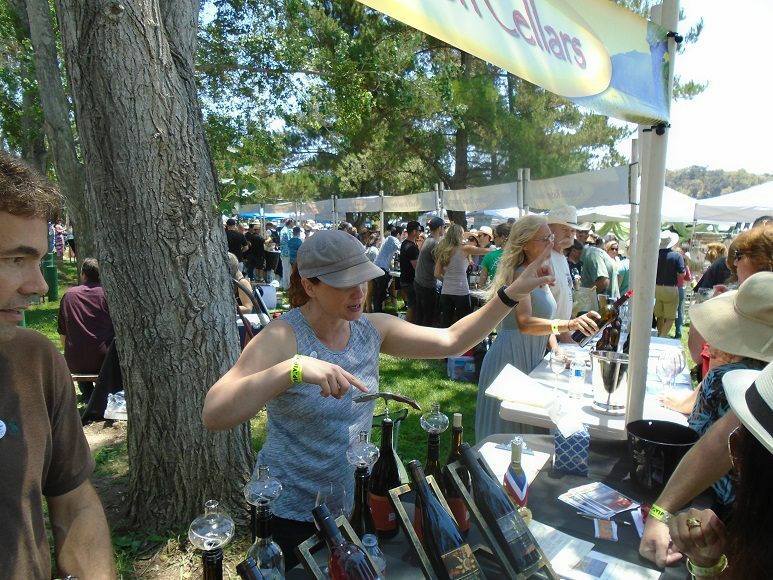 With the relaxed atmosphere, not only could attendees enjoy a wide variety of wines, but they also had time to talk with the wine makers about each tasting. 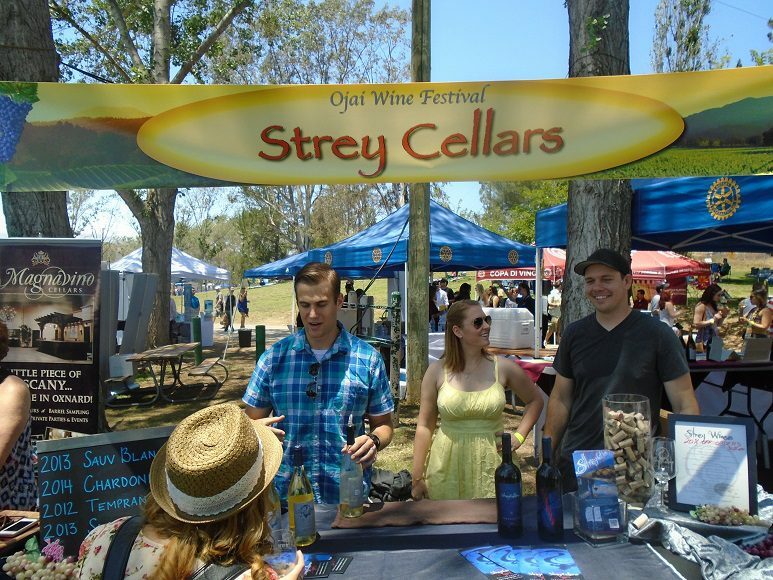 Ojai Wine Festival Executive Director Angela May said that this each year the event is so successful because of popularity of California wines and the number of wineries that keep growing in the state. 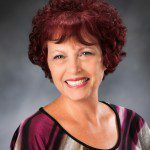 She expects the trend to continue and has already started to plan for 2016.